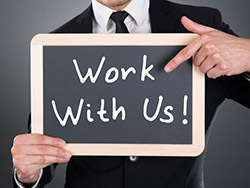 Ralph Connor Memorial United Church is looking for a permanent, part-time (14 hr/wk Tues.-Fri.) Office Administrator. The Office Administrator for Ralph Connor Memorial United Church provides administrative services to both paid and lay leadership in the congregation as they execute the mission of the church. The Office Administrator is a first-contact for persons communicating with the church. Starting wage: $20/hr plus benefits. Please see full job description below. 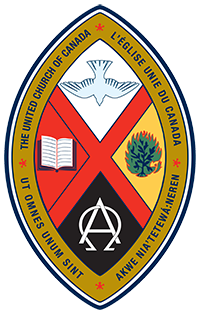 The Office Administrator for Ralph Connor Memorial United Church provides administrative services to both paid and lay leadership in the congregation as they execute the mission of the church. The Office Administrator is a first-contact for persons communicating with the church. Through personal contact, the Office Administrator provides information about church activities and rentals and is, on occasion, the first point of contact for persons in pastoral or financial crisis. The Office Administrator also performs office duties in preparation for Sunday services, in assistance to various church committees and in preparation for annual events. RCMUC is a small and vibrant congregation with a focus to provide spiritually nurturing services to all people as well as to be an agent of social justice in the community. The Office Administrator works most closely with the Minister of RCMUC in all aspects of the work. The Office Administrator assists congregational members on specific tasks. RCMUC has a number of organizations that rent space in or use the church building and the Office Administrator has front-line contact with them. Support the Minister of RCMUC by, for example, producing a weekly church service bulletin, putting together a PowerPoint for each Sunday service, assisting with the use of sound and AV systems, and managing music licensing so that the worship experience at Sunday services runs smoothly and is easy to follow. Support Council and committees by assisting in the production of print materials, submitting monthly financial contribution forms and statistical reports to the national United Church of Canada office, ordering cleaning and kitchen supplies, assisting with bookkeeping including the production and distribution of annual tax-donation receipts, and assembling and producing the Annual Report so that volunteers are empowered to do their work in the various ministries of the church. Support congregational members by maintaining contact information, producing and sending out the weekly e-newsletter, maintaining the website and social media sites, providing support (such as advertising and organizing) for special events, answering inquiries, gathering data and performing other tasks as required through the yearly cycle of the church so that congregational members are informed and enriched in their spiritual journey. Support church building users by managing the church use calendar, managing keys and door codes, assisting users with forms and information about the use of the building, and assisting Property Committee members so that building users have a positive experience in using the facilities and RCMUC can continue to use its building to meet RCMUC and Canmore community needs. Being first point of contact requires discretion and pastoral sensitivity so as to not damage relationships or the reputation of the church. Accuracy and timeliness of financial records is required so as to maintain sound business practices and not damage the church’s financial reputation. The Minister is responsible for the overall wellbeing of the congregation and collaborates with the Office Administrator who supports the programs and services of the church. An annual job review is conducted by members of the Ministry and Personnel Committee. Preference will be given to past training and experience relevant to this position.